As you know marriages are of the utmost importance to God and a strategic target of the enemy. FamilyLife's Weekend to Remember conference is a perfect place for couples to refresh good marriages or heal troubled ones. Allison and I have gone to three of these conferences (once engaged and twice married) and found each time rewarding for our relationship. Please check out more specific information about the conference at WeekendToRemember.com, and prayfully consider going. Those at Reynolda can get a reduced rate for the conference with a group number – $89/person as opposed to $129. Register by phone and give them the group code: 17954. People can use this code for any conference, not just the one in Greensboro. The Greensboro conference is Oct 3-5 and the one in Raleigh is Oct. 24-26. Again the group number is 17954, and the phone number is 1-800-358-6329. This conference will be rewarding for any marriage. We have been given a room in the new classrooms. 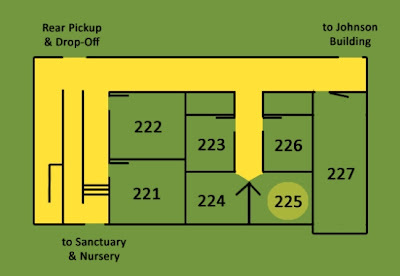 We are in room 225. If you had a time to visit in the open house you would have seen our great view of the chapel. We are looking forward to start in three weeks. 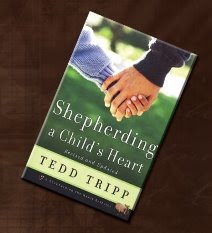 The Parents of Preschoolers will start off this Fall looking at the principles in Shepherding a Child's Heart. Allison and I read this book together about a year ago right at the time we needed to start thinking about discipline methods. This book is great in helping you move past only focusing on the outward behavior. We found this book to be refreshing and think it will provide excellent material to springboard discussion for us this Fall. Please show your interest in the Parents of Preshoolers class starting up at Reynolda on September 14th. You are not commtting to the group by filling out the below form. We would like to gauge interest in the class and to be able to better keep you informed.